For science to remain a legitimate and trustworthy source of knowledge, society will have to engage in the collective processes of knowledge co-production, which not only includes science, but also other types of knowledge. This process of change has to include a new commitment to knowledge creation and transmission and its role in a plural society. This book proposes to consider new ways in which science can be used to sustain our planet and enrich our lives. It helps to release and reactivate social responsibility within contemporary science and technology. 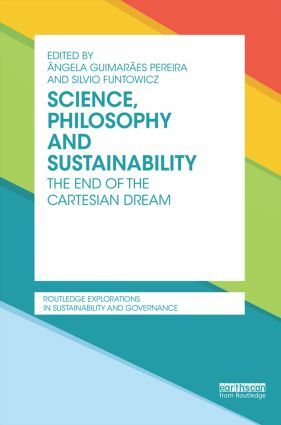 It reviews critically relevant cases of contemporary scientific practice within the Cartesian paradigm, relabelled as 'innovation research', promoted as essential for the progress and well-being of humanity, and characterised by high capital investment, centralised control of funding and quality, exclusive expertise, and a reductionism that is philosophical as well as methodological. This is an accessible and relevant book for scholars in Science and Technology Studies, History and Philosophy of Science, and Science, Engineering and Technology Ethics. Providing an array of concrete examples, it supports scientists, engineers and technical experts, as well as policy-makers and other non-technical professionals working with science and technology to re-direct their approach to global problems, in a more integrative, self-reflective and humble direction. "Overall, this is an excellent study that should be required reading for think tanks and policymakers." –David Lorimer, The End of the Cartesian Dream? Ângela Guimarães Pereira is a scientific officer of the Joint Research Centre – European Commission, Ispra, Italy. Silvio Funtowicz is Professor at the Centre for the Study of the Sciences and the Humanities of the University of Bergen, Norway.